This autumn a series of human rights education cinema clubs will be established at schools, universities, non-government organizations, and libraries throughout Ukraine. The initiative is boosted by Docudays UA, major Ukrainian documentary festival, and is part of a human rights campaign launched by the festival. The project won support of the EU Delegation to Ukraine in January 2014. Olena Kutsenko, its coordinator in schools and universities, shares her views on what results the team expects to achieve. Media education is a new phenomenon in Ukraine and few people have a clear idea about it. What is media education, and why have you chosen schools and universities to host media education cinema clubs by Docudays UA? Briefly, media education is an attempt to teach all people, – from young to old, – to have ability to live in a modern society overwhelmed with information. Journalists believe that this sphere is on their responsibility, focusing mostly on the word “media”. While teachers are focusing more on “education”, stating that this is there sphere of responsibility. In fact, media education includes journalism, pedagogy, culture, art, as well as many other important things. But the most important is that it helps to be informed and make proper choice of the necessary information, which, in fact, develops a sort of an information “immune system”. Today’s reality witnesses how important these things are. 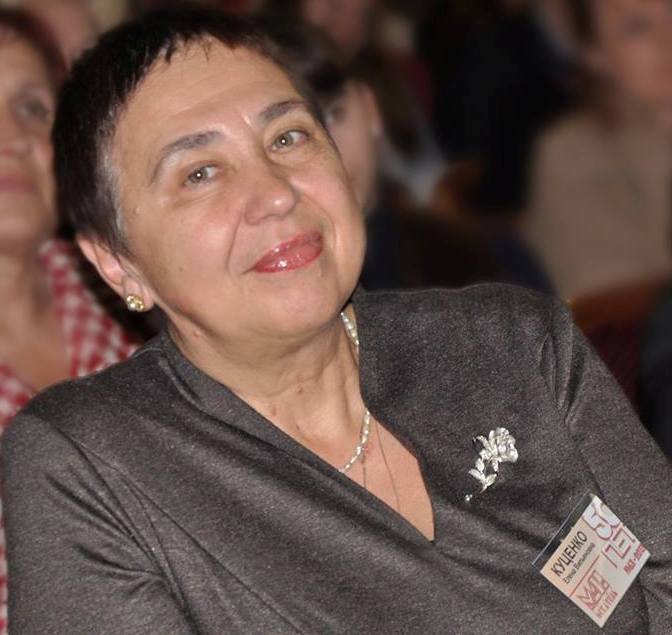 Organizers of the festival and the coordination board hope that cinema clubs created throughout Ukraine will help not only in education in the law and justice issues. They will also help Ukrainians in developing their critical thinking, as well as creativity of teenagers and young people. How will the organizers of cinema сlubs select movies? Who will be selecting, and what will be the selection criteria? Will these clubs be used for film screenings only or for some events too? We plan to create special media libraries, which would include manuals guiding moderators and managers of Film Societies in the way how they organize film screenings and debates about movies, as well as the selected movies themselves. These movies were selected for different target audiences, based on the proposals of regional partners of Docudays UA. Thanks to our information campaign it became possible to get permission from the copyright holders for a long-term use of movies in the projects of Docudays UA. The authors of collections offer a variety of creative tasks that go beyond the film club framework. Today, when children, young people have the opportunity to watch all sorts of movies on the Internet what can attract them to permanent cinema clubs Docudays UA? Will visits be compulsory for pupils and students? Films that are offered for film clubs are exclusive. It is unlikely that you will find them online. Everything will depend on the film club leaders and on their skills of attracting young people to display. Today young people are often more interested in documentaries than in feature films. We have seen incredible queues of people willing to get to the Docudays UA festival this year. 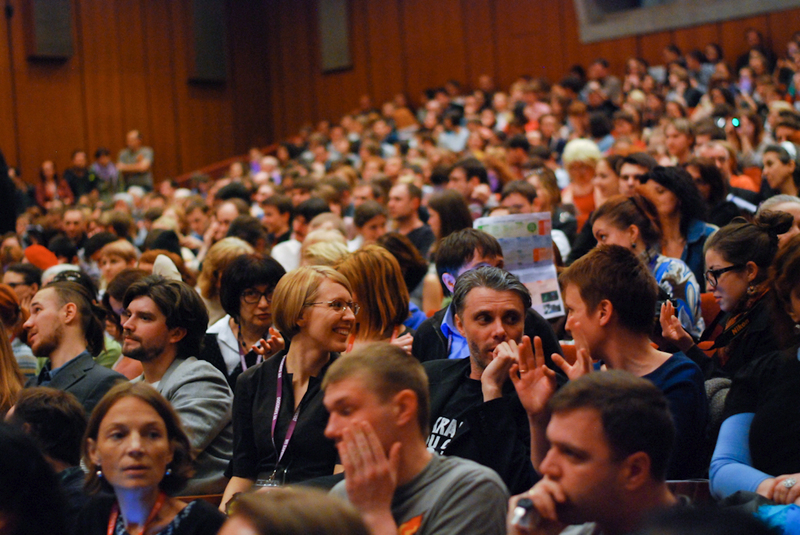 I’ve been at the festival in Kyiv since 2007 – I can see how the audience has changed. In the regions the audience is a little bit more passive than in the capital, of course. However, properly selected films for the target audience, well-organized public relations, will help attract young people to cinema. And no “you must”: any compulsory practices will be a violation of human rights. You live in Crimea and you have spent many years successfully making Walking Festival in dozens of towns and villages of the Crimean peninsula. Now you coordinate the project across Ukraine. But what will be with Crimea? Is it possible there to create permanent cinema clubs of media education on human rights, conduct traveling festival Docudays UA? Yes, the festival has been conducted in Crimea since 2006. Every year we expanded its geography and enlarged the audience. Thanks to the festival in some educational institutions (schools, institutes, colleges) media clubs have been opened. This work helped us with the introduction of media education experiment. We have set up media education clubs in 23 schools in Crimea and at the institution called Small Academy of Sciences “Shukach” (Seeker) – an institution promoting young researchers. Until now I’ve never heard from school principals that they were going to close the school media clubs, but what will happen tomorrow, we do not know. Crimea’s law “On Education” is being prepared, and we don’t know whether it will leave the space for this kind of work. The festival is also scheduled for October. Let’s hope we do not lose it. In Ukraine there are almost 9000 and more than 800 schools and universities … and 60 movie clubs are planned to be created. But if the teachers of cities which are not covered by the project also want to create a permanent cinema club Docudays UA and apply a new methodology for media education, will they have the opportunity? Today, thanks to the human rights campaign launched by Docudays UA, which in January 2014 was supported by the Delegation of the European Union to Ukraine, we can start Cinema Clubs at our regional partner organizations. In some areas they have worked continuously using the repertoire not only from film festival programs. 60 clubs you mentioned are the new ones, which will be added to the already existing ones, so the total number of these clubs will be higher. I hope that established Cinema Clubs will become centers of training for moderators, development of methodological and information materials, and will afterwards spread these practices throughout Ukraine. This is a very lengthy, laborious and ambitious project .What results do you expect from this initiative? As any project, our initiative has short-term and long-term goals. We are ready to present regional cinema club a package of materials for their video-libraries – a collection of films from the festival programs of previous years and startup guidelines. In September this material will be tested in cinema clubs at schools and libraries, providing guidelines for the work on the next collection. In August, we prepared the first group of moderators for Film Clubs Docudays UA. These are short-term results. And in the future we intend to cover all regions of Ukraine with such education cinema clubs, focused on human rights and law. We hope that our moderators prepared at the workshops will act as trainers in their respective regions themselves.